The economy is still working hard to recover. People are struggling to finance new homes or to restructure in order to stay in the existing abode. As the economy fights to overcome the recession, households continue to grow in size. Families are not only growing with the addition of new babies but also with the older babies returning back to the nest. The new norm is cohabitating; the kids are moving back, often with families of their own, to live in the parents’ home. As folks get laid off and the kids graduate from college, finding a job to support one’s self and family is beyond difficult, resulting in the new trend of adult children moving back to the comfort of the nest. A big problem is that parents have redecorated to accommodate their new lifestyle without the kids or have downsized to smaller abodes. It is now a challenge to create a new abode out of an existing structure to fit everyone comfortably. Every square inch of the home needs to be used effectively as living and storage space. This is the perfect time to be creative and inventive when designing the living space to fit everyone comfortably. Save on space by getting rid of the traditional bed. Turn a bedroom into double duty as a place for someone to work, sit and read as well as sleep. Loft beds come as large as queen size for adults. This is the perfect option for the adult child to turn a room into a mini studio apartment. Under the bed is an entire new room to use for sitting and work. Add a mini fridge and even a microwave, close the door and they can have their own space to work on future plans. Finish the basement and attic spaces to add additional rooms to the home. Get rid of the junk. If it has not been missed then you do not need it. Underneath all of that stuff you will find brand new living space. Turn the attic space into a living space. Make sure that you have a safe entry to the attic. Add a circular stairway to replace a pull-down ladder. Have an emergency ladder to toss out of an attic window for an emergency exit. The attic can be a fun bedroom for the grandkids that have come with the adult kids. Turn it into a tree house type room and have them pick the colors and help decorate. 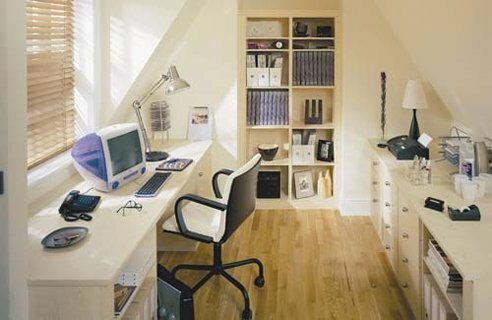 Turn the attic into an office space to escape to peace and quiet for work and reading. The basement can provide peace. 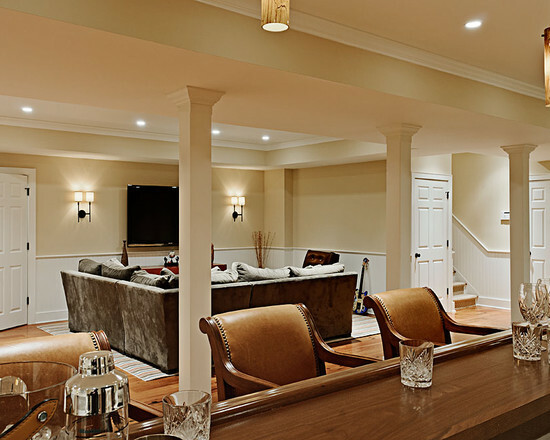 A basement can be turn a home into a private living space simply by finishing it. Divide it into a bedroom and living area so that the kids will have their own abode within yours. If you are adding a bathroom then check out the building codes in your area. Basements are perfect to turn into a family room to toss the kids into with their friends so that they have their own space to play without bothering the rest of the abode’s inhabitants. Leave the family upstairs and turn the basement into a sanctuary to work out in or just relax away from everyone else. Use every niche to optimize storage and living space. The staircase can be a hidden treasure of found space. Turn each riser into a storage drawer for hats, scarves and even toys and books. Build attractive cabinetry and shelving into the niche under the stairs. This is the perfect space to keep luggage and tools. Rooms can be divided to create two spaces from one. Open bookcases and screens can provide special private areas. Instantly divide a large space into a bedroom area and living space. Place the bookcase in the center of the room to divide it. Fill it with books and collectables, or sweaters and jeans for the bedroom, and you have an instant partition wall. Evaluate the space of the existing abode and use it to the best advantage for the family’s new needs. 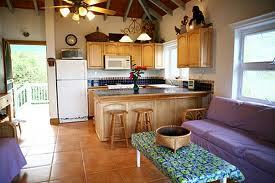 Traditional kitchen eating areas can be turned into a sitting and play area instead. Use the dining room or counter seating for meals. Formal dining rooms are usually underused. Turn the dining room into a useful family room that the kids can use to entertain in while you sit peacefully in the living room. Expand on the home without major construction interrupting your life. With the option of having a modular addition custom made for the home, the home extension is not what it used to be of having to live with six to twelve months of a complete mess and upheaval. Just as in a completely built modular home, dormers and extensions are now being built utilizing the new innovative modular method. The time it takes for the building process is drastically reduced with far less inconvenience to the homeowner. The new modular additions are custom designed to the specifications and needs of the client just as with traditionally built additions. Disruption is minimal since modular additions are built off site at a manufacturing facility. When the additions are completed they are brought to the project site and attached to the existing structure. These modules are spliced into a preexisting structure to create a well thought out and cost effective extension or dormer. Welcome the family into the abode but make sure that you still have your own private space to relax and live in. Set ground rules with a chore schedule that everyone must follow. Set the stage to live peacefully together. Life is always in transition; never be afraid to dance!